As a humble offering unto our Pujya Gurudev, Swami Chinmayananda, CHYK West is excited to release this first issue of 2015! 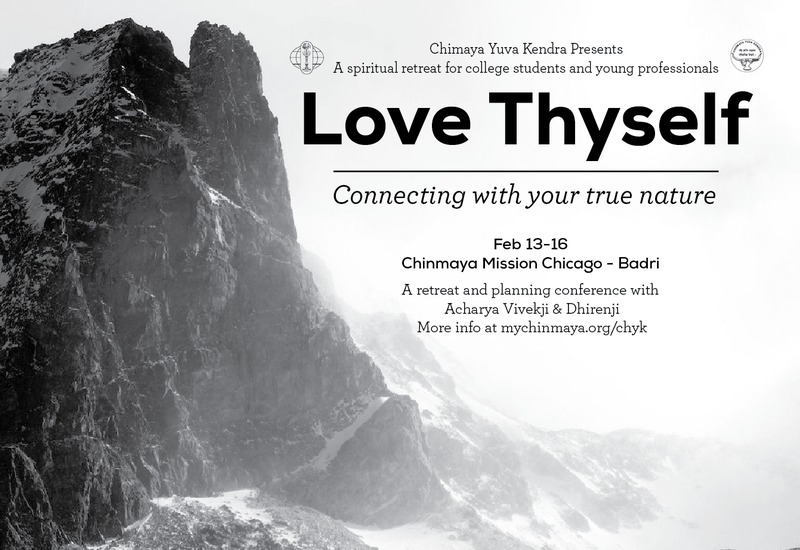 Here you will find retreat information, articles, interviews with CHYK West Directors, questions and answers with Acharyas, and much more! If you would like to submit a question to our Acharyas for our next issue, please e-mail us at chyknews@gmail.com and let us know! Also, please feel free to contact us if you have any questions, comments, or other material you would like to submit! Did you ever meet Pujya Gurudev, and if so, what attracted you towards him? 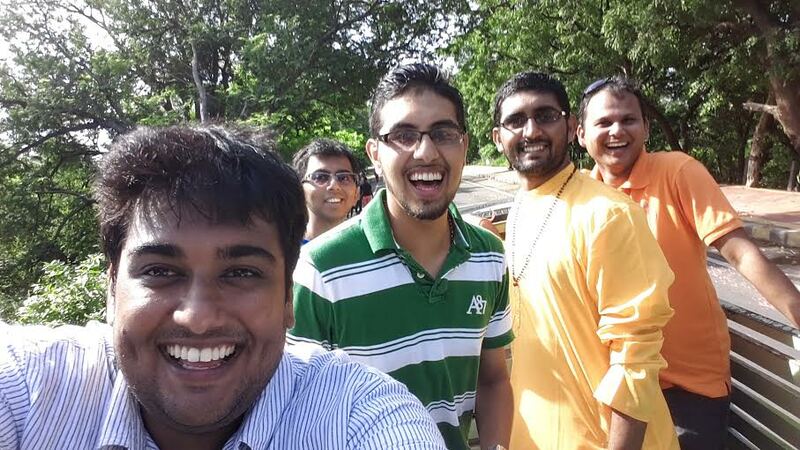 How did you get involved with Chinmaya Mission? Swamiji: The first lecture series was on Gurudev’s personality and demeanor which attracted me – that along with his logical approach to the religion. Here, I found someone who is very generous and connects well with his audience. He was very approachable and this kept me going back to him over again and again. Soon, I joined Yuva Kendra under Swami Chidatmanandaji. Where were you posted after completing the course? Do you remember any particular incident from those days? 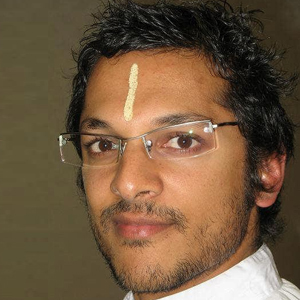 Swamiji: Vijaywada – This is the hub of Telugu culture. I had no experience really speaking Telugu (couldn’t speak, write, read, etc.). However, people were very accepting and helped me learn Telugu well. It’s a cherished memory that people were so forgiving and allowed me to grow. They taught me while I went to teach them. What has been your experience in organizing yajnas? Swamiji: Gurudev had an ever-lasting patience. As an organizer, I have had my own experiences. I once messed up Gurudev’s schedule and I was scared. Yet, Gurudev was very benevolent and he said “Well, I’ll give you another chance.” This truly taught me discipline. Can you share with us some lighter moments with Pujya Gurudev/Pujya Guruji? In a nutshell, what would you say about Pujya Gurudev? Swamiji: The 108 names that Guruji has written fall short. He is the 108 names and much more. In one sentence I would say: If someone were to ask me if I had seen God, I would say yes – that is Gurudev. Do you remember any remarkable anecdotes about Pujya Gurudev or Pujya Guruji? Have you ever traveled with Pujya Gurudev (or Pujya Guruji)? What inspired you to join the Vedanta course? Swamiji: Love of Gurudev. I wanted to spend all my time in Seva for Gurudev. I am so glad that he accepted me to join the course regardless of my circumstances. What are some of the projects you have taken up? 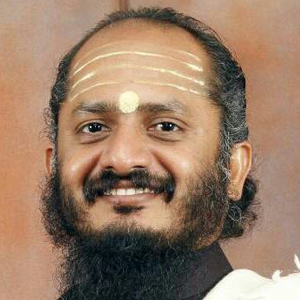 Swamiji: The project that has come to me has been the development of CHYK West. To bring this knowledge of Vedanta to that age group has been the greatest project to mold not only them, but the world around them in the ways of Vedanta. We are striving to reach all universities. In making this a youth driven program, we often take different projects. 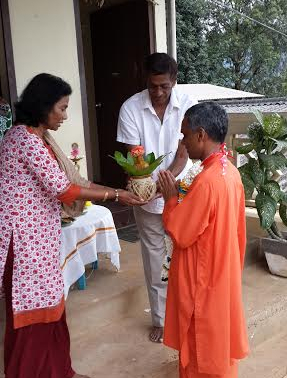 We recently took the Chinmaya Jyoti Yatra and we aim to celebrate the birth centenary. We hope to bring about Gurudev’s contribution to not just the mission but all of humanity. Gurudev’s life, vision, and work is so inspiring for everyone. Do you remember any special or unusual incident that bordered on the miraculous? 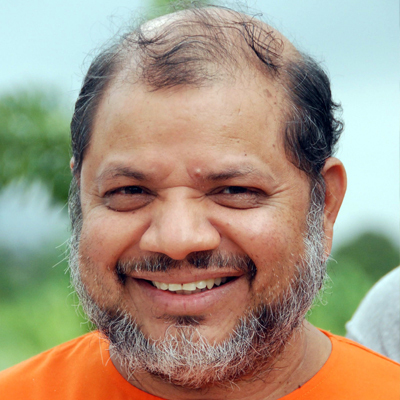 Swamiji: Transforming me from who I was to who I am now is a miracle in itself. Only Gurudev could have done it. That gives me hope and faith that if a person like me can change, then anybody in this world can change as well. 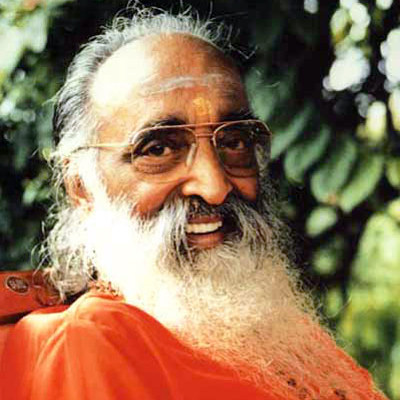 How do you impart the knowledge you have learned from Pujya Gurudev’s teachings? Swamiji: Through Satsangs—and in conjunction with experiences through activities… These activities unfold themselves in the way of Seva. Through these two, it becomes so much easier to explain Vedanta to anybody in any background. Satsang and Seva..
Swamiji: Freedom is to not do what you feel like. Usually it is defined the other way, but to have enough self-control and understanding, and to know what to do and what not to do and when to withdraw—that is freedom. Swamiji: You can give without loving, but not love without giving. Being there for everyone around you—ready to put others around you higher than yourself… that is love. The first step is to strengthen yourself in understanding, clarity, and even at a physical level. People can depend on you, but you don’t need to depend on others. Strengthen yourself on the levels of time and money. Once you strengthen yourself, you are in a position where you can command change. Bring the strength within yourself and start inspiring others. Become the change. Without knowledge and clarity born out of that knowledge, nothing can be achieved. Focus on getting that knowledge and clarity. The Bhutanese Refugee Empowerment Program (BREP) Manual was written by Batch One Yuvaveers over the past year (Bani Maini, Priya Wiersba, Shubhum Sidhar, Rupal Jethwa & Swarna Sunkara). They contacted various sevaks across CM West who work with Bhutanese refugee populations to get the data and compiled it into this format which is easily usable and accessible for any BREP sevaks. Mehana Parikh & Suriya Sharma have collected the below information and will continue to quantify seva done for CORD USA at other CM West centers. 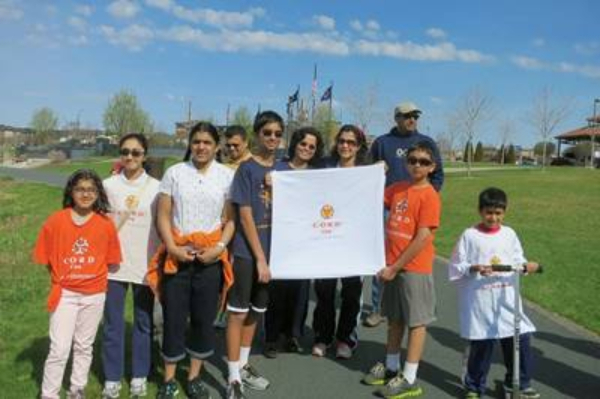 CM New Jersey conducts an Annual Walkathon for CORD USA. On average, 200-300 people attend, and donate $25-$50 per participant. 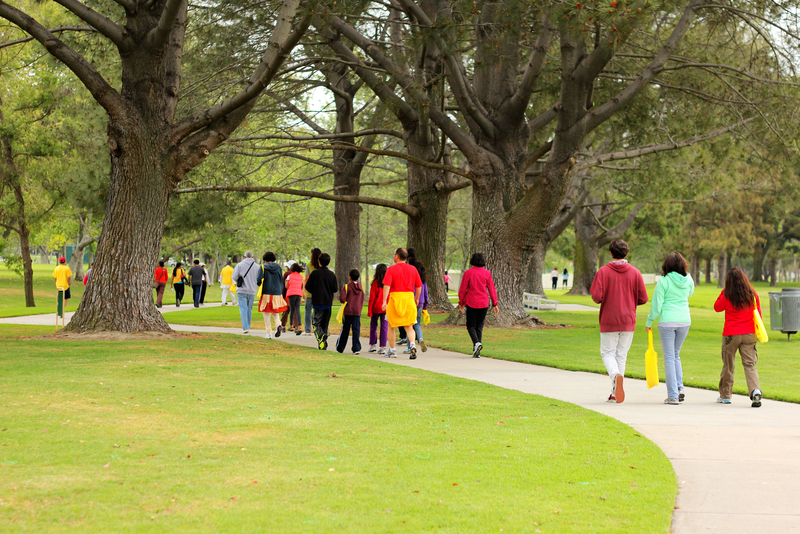 The event is a 5K walk which lasts 5 hours, where activities and food are also included. A total of 60 sevaks donate 7 hours of their time and energy on the event day, and the Coordination Team puts in up to 16 hours before event day.iPads and iPods are also given at the event as raffle prizes and incentive to raise as much money as possible for CORD USA. CM Boston also conducts an Annual Walkathon for CORD USA, were about 300 people attend on average. About 40 sevaks volunteer their time and energy for the event, where a total of 1800 man hours are logged! CM Chicago‘s Half Marathon last year had a whopping 45 participants and raised $6,667 for CORD USA! Another Chicago fundraiser with about 500 participants raised $82,022.42 for CORD USA! How can we inspire others to have a desire to make spiritual progress, or to join the spiritual path? Once we grow spiritually will we automatically inspire others, or is there more that we can or must do? This is an often asked question. The most challenging pursuit one can engage in is that of Enlightenment. The second, being with people. In the latter the challenge is the prevalence of more than one ego. Essentially this question is asking, “How can I make others think like I do?” A question every one of us has. Yet if we think carefully we will understand and appreciate we barely control our own body and mind, leave alone another’s body and mind. No one wants to read the answer to this question as not possible and so I, like many others, write simply to bring ease to the questioner’s mind. Pray – The only one who gives ideas and takes ideas is the Creator. Think about how many times a great idea comes to the mind without effort. Think about how many times we try to hold onto a great idea and this disappears. This is listed first to convey how fundamental this strategy is. Lead – Actions speak louder than words. Understanding and appreciating the import of this simple proverb, we become much more responsible with how we think, speak and act. Whatever behaviour we want to evoke in another we have to invoke in ourselves first. Bhagavan Krishna has unambiguously advised Prince Arjuna to set the standard for people to follow (lead by example). Engage – In 2015 people are communicating more than ever! The explosion of technological development has empowered us to incessantly send, text, post, etc. In 2015 people are connecting less than ever!!! Communication is exchange without feedback. Connection is exchange with follow-up. In a Vedantic context, many of us know the difference between hearing and listening. Think of communication and connection having the same subtle difference respectively. Whatever thoughts we want another to engage in, let us talk to them about this. Let us ask what is on their mind, what is their opinion. Let us share what is on our mind, what is our opinion. Often a sincere dialogue between parties is the simplest strategy to share ideas, to subscribe to ideas. Bhagavan Krishna engaged Prince Arjuna in this way and Prince Arjuna changed completely. Accept – Pujya Swami Tejomayananda has taught, “In the achievement of everything there are two parts. One part is in our hands and ‘we’ should do it. The other part is not in our hands and we should ‘allow’ it to happen.” The part in our hands is to pray, lead and engage. The part not in our hands is the effect of our prayers, leadership and engagement. And so our only remaining strategy is to accept another as they are. Think, what other option is there? Often the attitude of acceptance has the most potent influence on another. If someone comes to understand and appreciate that spirituality has been the catalyst to our acceptance of them they will be moved to think and speak and act in the same way. Let our focus be on transforming ourselves and naturally others will be transformed too. Every sadhu is testimony to the power of such satsanga. 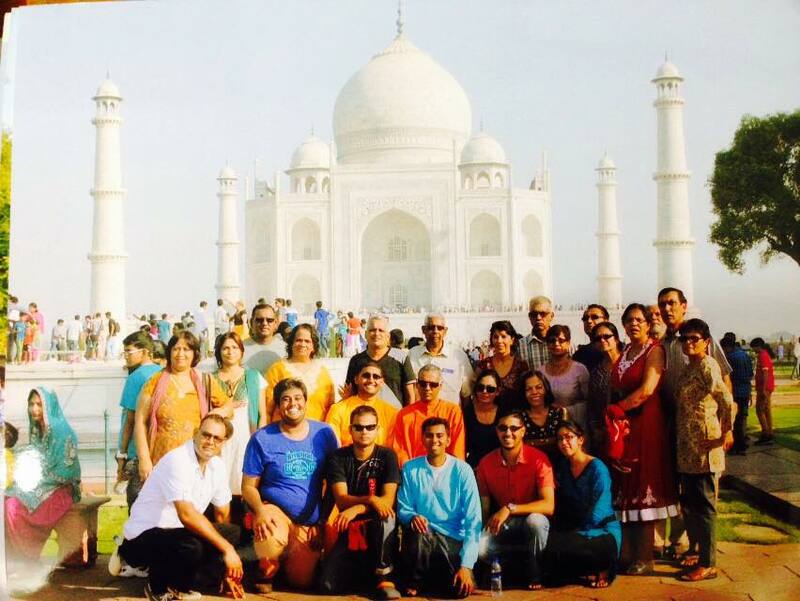 October 2014 featured a month long India Yatra. Swami Prakashananda led a group of 25 devotees from Trinidad, including 7 CHYKs, all journeying to the land of our ancestors for very first time. Using autorickshaws, buses, trains, even boatrides and domestic flights, the group moved through North and South India, visiting places such as Varanasi and Kanyakumari. We even visited Sri Lanka. One overwhelming spectacle was the evening Aarti at Haridwar on the banks of the sacred Mother Ganga, where thousands of people gathered on either side. The peal of bells, the divine chanting and the sight of the many lamps captivated us. The high energy was palpable and the mass devotion was heart stirring. In Tamil Nadu, one wonder was the Arunachala Mountain – a true supreme beauty, described as direct manifestation of Lord Shiva. 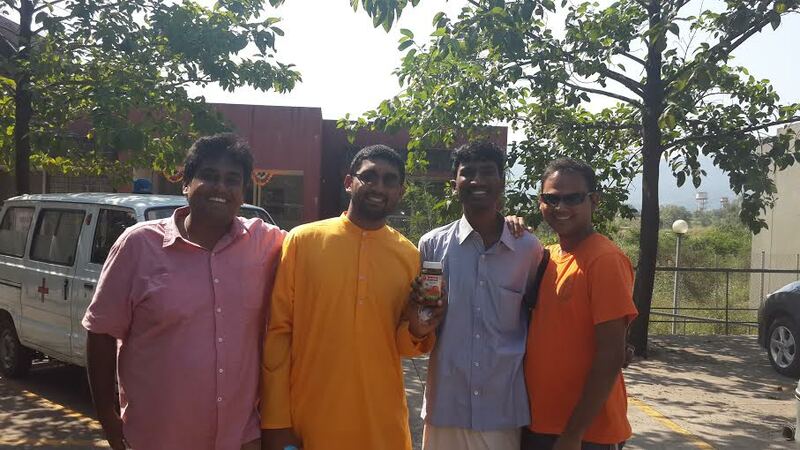 Swamiji told us that we would walk around the mountain. Some of us were unsure of the entire distance, however, there was an inexplicable magnetic pull, and special feeling for the CHYKs to complete this parikrama. Throughout the tour, and it was truly a blessing to visit various Mission Centres. At Sidhbari, there was the awe of the 25ft Hanumanji, the marvel of waking to the sight of the majestic Himalayas and the treasured experience of being in the presence of Gurudev’s Kutiya and Samadhi Sthala. Mumbai Ashram presented an oasis- green peaceful retreat from Mumbai City, the great opportunity for satsang, Divali night and dinner with Mission family and best of all, Guruji’s Darshan just as he returned. We also visited the fantastic 65 acre Chinmaya Vibhooti Vision Centre as well as Chinmaya Mission Ahmedabad where we were treated to a superb discourse on Tulsi Ramayan by Swami Prakashanandaji. Good fortune was there also to meet Swami Mitranandaji together with the vibrant CHYK group at Chinmaya Mission Chennai. The last morning in India was a real pinnacle experience, with a walk through the Chinmaya Chetna – a memorial to Swami Chinmayananda, CM Delhi, one that inspired and commanded us to be more! Sri Lanka revealed an exotic destination, full of green tea – covered mountains, many waterfalls, mighty elephants, even fruit trees that reminded us of Trinidad. This barely matched meeting Aunty Gowrie Mahanthiran, Head of CORD Sri Lanka and visiting the great people at the Mission Centre. During one day’s tour, we spent time at the most special site of Ashok Vatika and from there looked upon a natural mountain top formation that showed two shoulders, eyes nose, mouth and chin of Hanumanji. 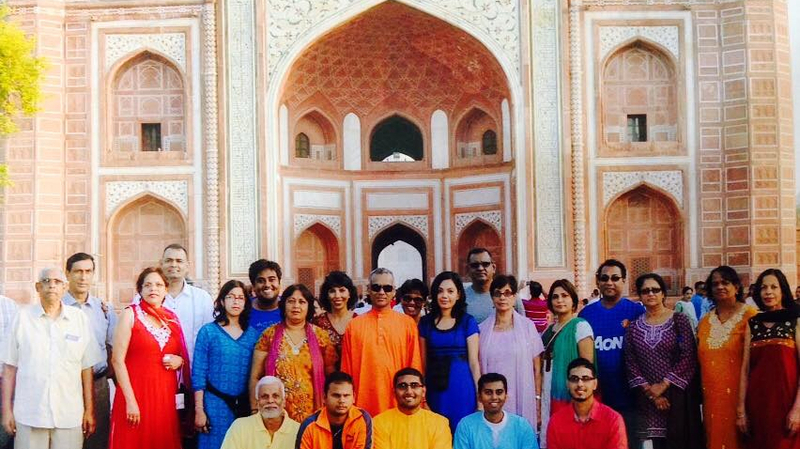 The month long Yatra was entirely filled with fun and friendship amongst India’s incredible sacred places. One certain outcome was the great feeling of family and warmth at all the Mission Centres. 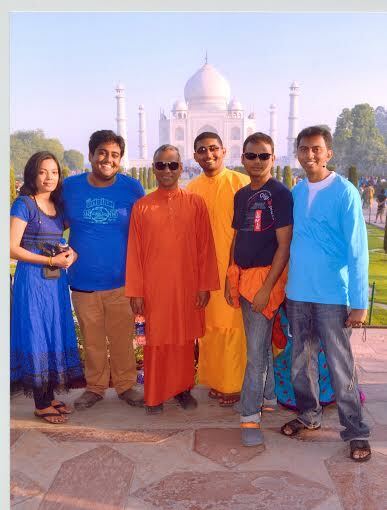 Special tribute and profound gratitude must be expressed to Swami Prakashanandaji – a true inspiration of the trip, the ultimate tour leader and a repository of overwhelming love – a cherished Guru! We are happy to commence the registration process for the increasingly popular CORD USA service visits to India for summer 2015! Due to the incredible experience provided by the service visit, the demand for the number of spots has been increasing steadily. We are inspired by the number of wonderful, committed students that are registering for the service visits. We are extremely gratified by the input from our returning students reflecting their inner growth and maturity originating from these visits. We are striving to expand this opportunity to as many students as possible. The number of students that can be accommodated is determined by the capacity of the host CORD center facilities and resources. At times, due to the limited number of spots available, many wonderful students were unable to attend the service visits. However, due to Gurudev’s blessings, we were able to increase the number of available spots significantly for summer of 2015. We are able to accommodate fifty-two students between two different centers this Summer, compared to twenty-seven in Winter 2014. We will continue to work on expanding the number of spots as well as locations for future service visits. We are thankful for the opportunity to be a part of this wonderful journey by our Chinmaya Mission youth and hope to grow along with them. The service visits are extraordinary opportunities to serve and experience the joy of service. We are looking for students who are mature, motivated, have faith in the value of service and would value the visits as an opportunity for their own growth. Click this link to apply today! If this link does not work, you can go through our website, www.cordusa.org and click the “Service Visits” in the carousel. Please read the instructions and fill the application form in its entirety before you submit. After submitting the filled application, you will get an automated acknowledgement email which will have the link to submit application fee online to complete the application process. The regional coordinators will be in touch with you within two weeks with next steps. If you would like to chaperone, please send us an email with the subject line “Chaperone request: CORD USA Summer Service Visit 2015” and our national coordinator will get in touch with you. CHYK West is excited to announce that our online shop has been launched! Please visit our CHYK West Online Shop today to find out what we have in store!